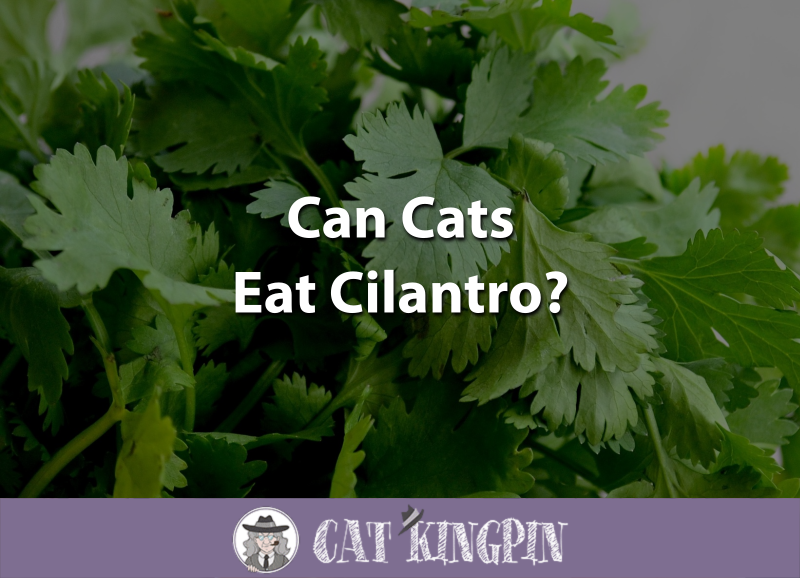 » Can Cats Eat Cilantro? Although cats are meat eaters, you’ve probably seen your kitty take an interest in plant life at times. While no one wants to come home to find their favorite house plant destroyed, it’s always nice when we can give our feline friends something new and interesting to interact with. Non-toxic plants can be a fun treat for your cat. Cilantro is obviously safe for people but can cats eat cilantro? Cilantro is an herb known scientifically as Coriandrum sativum and commonly as coriander. Though they’re both part of the same plant, from a culinary point of view, coriander usually refers to the seeds like oregano or fennel, while cilantro is the leaves and stems. People have been harvesting cilantro/coriander for thousands of years. In fact, the words cilantro and coriander both descend from the ancient Latin word coriandrum. Though primarily used as an herb or garnish, cilantro is a good source of vitamin A and vitamin K. Many other important nutrients are also present in cilantro, though in lesser amounts. Yes, your cat can eat cilantro! Cilantro can be a tasty and fun treat as long as your cat is interested in it. Don’t be surprised if they don’t actually eat the cilantro leaves. Many cats will just play with it or rip it apart, leaving a mess for you. 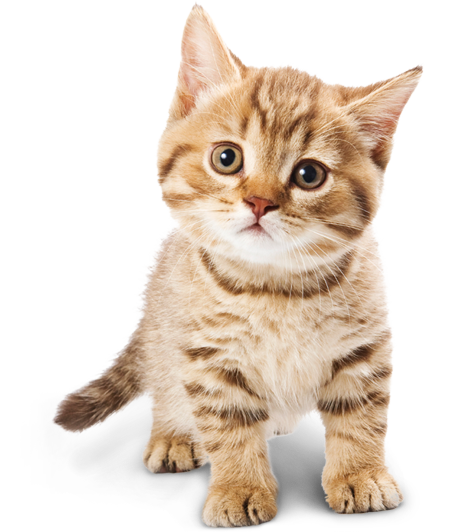 Kittens are more susceptible than adult cats to most things because they’re not fully developed. Though rare, any pathogens on cilantro leaves are more likely to affect a kitten than an adult cat. Similarly, kittens could be more sensitive to the laxative effects from the fiber in cilantro. This could cause diarrhea, possibly leading to dehydration and a trip to the vet. Instead of cilantro, why not give your kitten healthy food like Blue Wilderness kitten food? This type of food has everything they need to grow up big and strong, and nothing that could cause harm. While usually a safe treat for your cat, you should know they won’t really benefit much nutritionally from eating cilantro. This is because cats are obligate carnivores. All they really need to eat is meat. In fact, cats aren’t good at deriving nutrients from plants. 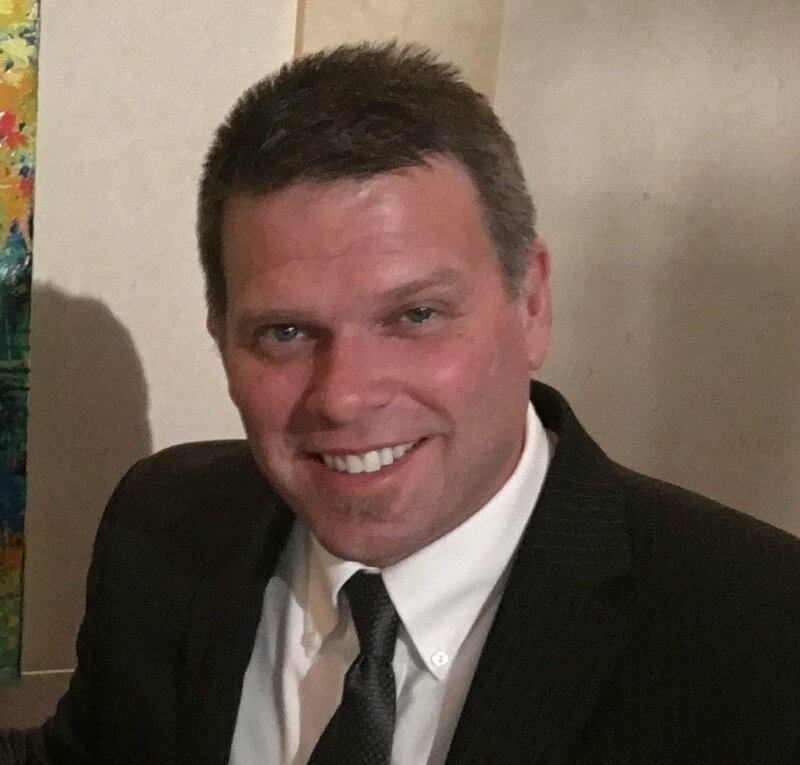 For example, cats produce very little of the enzymes that break down carotenoids, the precursor to vitamin A, which is found abundantly in many plants such as cilantro. Unlike humans, cats must eat vitamin A that has already been converted from carotenoids to its active form by some other animal like a mouse or rat. This is one of the reasons cats need to eat meat. Similarly, cilantro contains moderate amounts of fiber. Cats don’t need fiber in their diet, and eating food containing fiber can have a laxative effect on cats. This results in runny stools and messy litter boxes. Additionally, while cilantro is not considered toxic to cats, foodborne pathogens have occasionally been found on cilantro leaves. E. Coli and Salmonella are just two of the many types of bacteria that were found in cilantro and have sickened people. In severe cases, life-threatening septicaemia and endotoxemia may develop. In rare cases, the infection may spread to different organs. It could cause pneumonia, meningitis, and abortion in pregnant cats. To be safe, make sure you thoroughly wash cilantro before giving it to your cat. Infection with E. coli, known as Colibacillosis, produces similar symptoms to Salmonella poisoning. Colibacillosis is primarily seen in young cats, but can also affect older cats, though usually not as severely. There are many healthy alternatives to feeding your cat cilantro. If you really want your cat to have plants in their diet, try a cat food that has been formulated with plants that meets the feline’s specific nutritional needs. So, can cats eat cilantro? Now you know that cats can eat cilantro, though many cats may not be all that interested in the leafy plant. Wash the cilantro leaves thoroughly before giving it to your cat. Give cilantro to your cat in moderation as too much could cause your cat to have indigestion and loose stools for a day or two. If you have any questions or would like to share a story about your cat and cilantro, please tell us in the comments below. We’d love to hear from you!